The Bach model 12 features a 7-1/2" one-piece hand-hammered bell designed for excellent resonance and projection. The .500'" bore handslide design provides balanced and light response. The clear lacquer finish provides a subtle warmth to the overall sound. 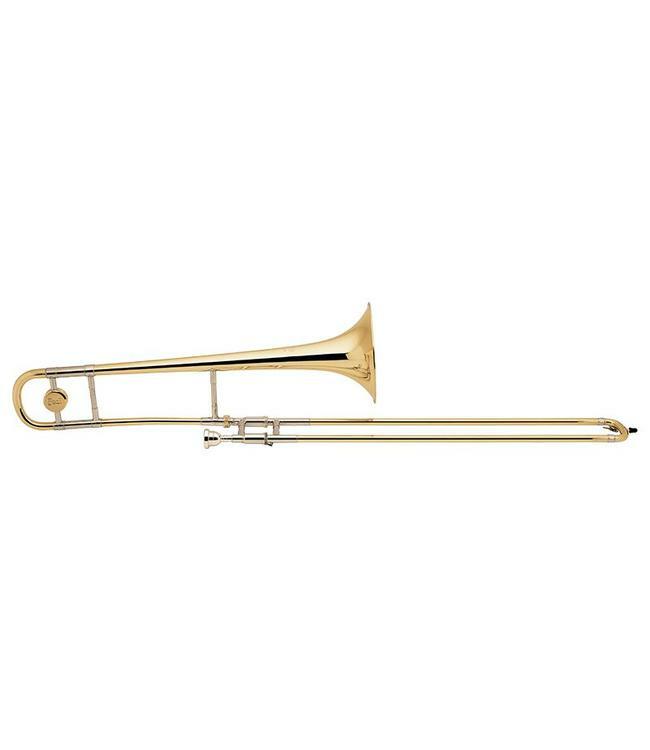 The Bach Stradivarius model 16 tenor trombone is designed for the player looking for a high performance straight trombone with a classic small bore feel.